A young governess falls in love with her employer in this classic coming-of-age tale set in nineteenth-century England. This reading group guide for Jane Slayre by Charlotte Brontë and Sherri Browning Erwin includes an introduction, discussion questions, and ideas for enhancing your book club. The suggested questions are intended to help your reading group find new and interesting angles and topics for your discussion. We hope that these ideas will enrich your conversation and increase your enjoyment of the book. Raised by vampyre relatives, young Jane Slayre is forced to adhere to a nocturnal schedule, never enjoying a sunny afternoon or the sight of a singing bird. But things change for Jane when the ghost of her uncle visits her, imparts her parents’ vampyre slayer history, and charges her with the responsibility or striking out on her own to find others of her kind and learn the slayer ways. She begins at Lowood, a charity school run by a severe, stingy headmaster, who Jane quickly discovers is reanimating dying students to be trained for domestic service. With the help of head teacher Miss Temple, Jane frees the souls of her friends and ends their zombified misery. Eventually, she decides to venture out once more, this time as a governess to the ward of wealthy Mr. Rochester, whose dark good looks hide an even darker secret. Deeply in love, she agrees to trust him against her better instincts, until a surprise revelation at the altar brings her dreams of marriage to an end. Determined not to become his mistress—for Rochester is already married to a mad werewolf, who he keeps locked in his attic—Jane secretly departs. Alone, penniless, and starving, she is rescued from the brink of death by local clergyman St. John, who shelters her with his sisters. Jane recovers and thrills to discover that St. John is a slayer, like her. Together they work to develop new weaponry and train the local children to kill vampyres, but when St. John proposes that Jane marry and accompany him on missionary work to hunt vampyres in India, she must decide once and for all where her future lies. 1. What seems to be more repugnant to the Reeds—that Jane is a dependent of common blood, or that she’s human? Do you think Mrs. Reed is more irritated that her niece has a continuous flow of warm blood on tap and she doesn’t, or that Jane won’t share? What finally induces her to beg that Jane help release her soul? 2. Bessie suggests to Jane that much of the Reed children’s nasty disposition can be attributed to their vampyre nature. Do you agree? Could there be another explanation? Do you think they would be such immortal brats if they’d been allowed to finish puberty before Mrs. Reed turned them into vampyres? Discuss the effects of being stuck in a child’s body forever. 3. John Reed constantly threatens Jane, who believes his habit of taking small bites of her flesh indicates that he sees her as little more than food. But more astute critics have noted the complexity of John’s personality: left without a male role model, this sad, misunderstood boy in a house full of women may simply be “pulling pigtails” to get Jane’s affection. What effect does his expression of unrequited love have on Jane’s adult interactions with men? 4. The Reeds are famous for hosting extravagant parties featuring buffets of noble-blooded guests. Why do you suppose people keep coming to Gateshead? Is it possible no one cares that so many rich folk have gone missing? How are vampyre-related disappearances explained throughout the novel? 5. Jane’s charge to kill vampyres and release their souls is a Godly mission, yet she feels far less angelic than her friend, Helen Burns. If Helen is such a paragon of goodness and devotion, why doesn’t Jane want to be more like her? Does Helen inspire or annoy the crap out of you? Were you surprised that Jane didn’t cut off her head sooner? What would you have done? 6. The zombies in this novel appear in two major roles: as poor charity-case students and as domestic servants, both groups for whom life is defined by obedience. To kill a zombie, one must take off its head. Do you think the author is making a statement here, or are the zombies just another excuse for the gore so common to nineteenth-century novels, which have been deemed vulgar by today’s more genteel standards. If the former, what do you think the author might be saying? 7. Once she leaves Gateshead, where she’s been exposed to vampyres, zombies, and stories of so much more, Jane develops a tendency to suspect nearly everyone of being unnatural. Is she simply obsessed with killing monsters as surrogates for the Reeds (especially John Reed), or does this reflect a more innate narrowness of thought crucial to her slayer destiny? Or perhaps, do you agree with critics that she’s a Victorian feminist expressing her sexual frustration? Do you think it’s a coincidence that she zeroes in most on people who make her uncomfortable, like Grace Poole or Lady Ingram? Is it possible that her instinct is correct—all people are really just monsters in disguise? 8. At Thornfield, Jane spends a good deal of time ignorant of and then denying her feelings for Mr. Rochester. He seems to drop a lot of hints that she simply doesn’t catch. Do you think her inability to see what’s right in front of her (aside from unnatural creatures) is a product of a childhood absent of love, or is it a necessary feature for a vampyre slayer, as natural to Jane’s character as her killing instinct? Do you believe she can ever really love anyone? Why or why not? 9. On page 269, Mr. Rochester exclaims that in revealing the truth about his wife, others may judge “whether or not I had a right to break the compact.” Do you think he’s justified, or is he just another Englishman looking to unload his stroppy cow of a wife? Is it significant that Bertha becomes increasingly difficult at the full moon? Do you think Rochester is compassionate to care for Bertha, albeit secretly, or is her confinement crueler than simply killing her, as Jane would have done? 10. In this novel, killing is a kindness more often than it’s a sin. What makes it so in Jane’s mind? Do you think she’s right in her assessment that she should have killed Bertha Mason and released her from her cursed life? Imagine if Bertha was merely been mad and not a werewolf—would your opinion be different? Do you think Rochester would really have minded if Jane had killed his wife, or doth he protest too much? 11. Jane’s discovery that St. John, Mary, and Diana are her cousins fills her with joy, but what does it say about the sisters that they choose to distract themselves with such unimportant activities as education when there are monsters to be rid of? Jane often remarks on her desire to be useful; do you think the other women in this novel (except, perhaps, Miss Temple) endeavor to be useless? Why or why not? 12. Ultimately, Jane’s union with her cousin St. John seems a fulfillment of her Uncle’s charge to go forth and find other slayers to learn from. St. John’s offer to take her to India gives her the opportunity to destroy perhaps hundreds of vampyres in a place where they menace unchecked. Why then, does she shun her destiny as a slayer in favor of shacking up with Rochester? Do you think she’s made the right decision, or will it come back to haunt her eventually? 13. Like so many young women dating older men, Jane suffers when her seemingly perfect romance with Rochester is ruined by his beastly ex’s refusal to move out, disappear, or just die (and his refusal to simply kill her). Do you think she’s really horrified to find him blind and infected with his wife’s disease when they are reunited, or is there a bit of her that feels he’s gotten his just desserts? How difficult do you think it really is for her to bury him six feet deep after all he’s put her through? Would his ordeal be enough to satisfy you, to allow your lover to emerge from the grave with a clean slate? 2. 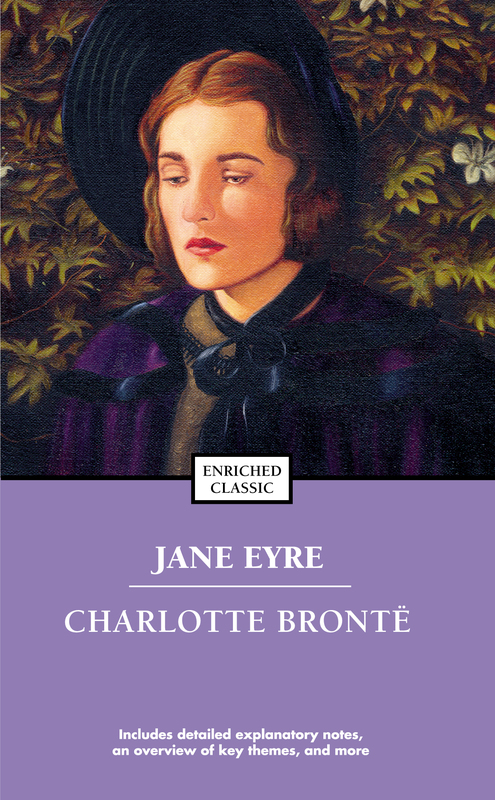 An abridged version of the novel is available under the title Jane Eyre. It’s been hailed by some as a truer representation of Victorian England than the original, but others believe its deletion of all vampyres, zombies, werewolves and the like has made it much duller. Read a few chapters and compare the two versions, sharing your opinion with your book club. 3. Coauthor Sherri Browning Erwin has established a website where you can go to learn more about her and find out about her other books on vampyres and romance. You’ll also find links to her blog and social media pages, where you can share with her your encounters with the undead and unnatural. Visit her at www.sherribrowningerwin.com.